Phillipe Coutinho got his dream move last month as he finally made the switch from Anfield to the Camp Nou. The Brazilian scored his first goal for Barcelona last night in a 2-0 win over Valencia in the Copa Del Rey. Early signs have been very encouraging for the Brazilian with his style of play complimenting that of this teammates’ exceptionally well. However, things could have been very different for the 25-year-old. Diario Gol reports that Coutinho confided in his teammates that he could have been a Madrid player had it not been for Zinedine Zidane. The diminutive Brazilian was apparently unsettled in the Premier League in 2016. Consequently, his agent offered him to several clubs in the Serie A and the La Liga. Florentino Perez was seriously considering signing the Brazilian and he passed the same information on to Zidane. The Frenchman, however, did not want Coutinho at the Bernabeu at that point. According to the report, Zidane didn’t feel like the midfielder would fit in his vision of the team. As things turned out, a year and a half later, Coutinho is playing in the La Liga. Instead of playing for Real, however, he is wearing the colours of Los Cules. His multi-million transfer set Barcelona Barcelona a whopping £142 million. They will now be looking to reap the rewards of their investment as Barca set their eyes on an unprecedented third treble. Everything happens for the best, and that is certainly how it panned out for Coutinho. 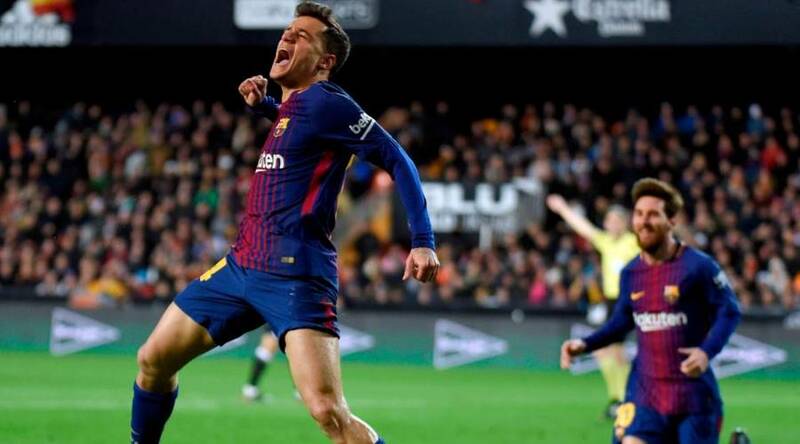 Barcelona is back to their best and Coutinho has joined them just at the right time. He will pick up his first La Liga medal come to the end of the season and is also primed to win the Champions League. The post Barcelona ace was rejected by Zinedine Zidane before his move to Camp Nou appeared first on The12thMan.